I feel like I'm going to be one of those bloggers who constantly apologises for late posts! I'm a perfectionist, a procrastinator, and I feel like I'm never home. Doesn't help with the regular posting business, does it? I think the solution to my blogging tardiness is also the solution to my life: to stick a Post-It on my forehead that says "Stop Worrying" - preferably backwards so I can read it in the mirror when I look at myself! So before I can overthink even this very post I'm typing right now, I'm just going to bring Vacuuming On Holiday back from the dead right now and update you on what's been happening! Firstly, I was very kindly nominated for the Harmony & Peace Award by my favourite and most inspirational pow-wow blogging pair, Michelle and Anne over at Crochet Between Worlds. This happened way back in December last year! How neglectful am I? What a way to thank them for their consideration! frown emoticon To be slightly fairer to myself, I did immediately draft - not one, but two - entries in response! So what happened to them? Well, the fact is I'm so new to this, I couldn't even name 7 blogs that I regularly read, let alone 7 blogs that fit the profile! I spent so long fussing over this task that I just never got around to actually doing it (story of my life). My goal for this week is to do justice to my Award, and get it and my nominees loudly and proudly posted up for all to see and share - so watch this space! Secondly, I've recently returned from a mammoth non-stop 6 week jaunt in the Australian countryside working as an Ecologist! I'm very lucky I landed this job and I'm pretty thankful for all the cool, talented, amazing people I worked with and all the new things I learned. I handled beautiful and fascinating animals from lizards and snakes to birds to frogs to bats. I spent quiet moments in glorious ruby red sunsets admiring the unique outback landscape. I missed home and family and friends and the fun of the city, not to mention I was pretty exhausted by the end of it! But it was a memorable, rewarding, valuable experience, and I hope more like them come my way in future. 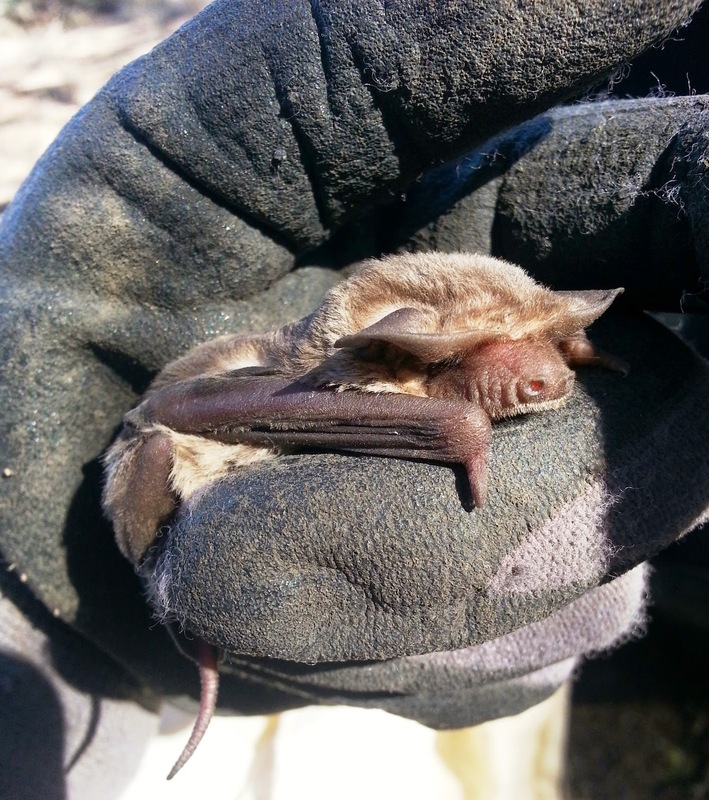 A cute little free-tailed bat I helped rescue - basically just another day at the office. This species Mormopterus is one of my personal favourites. I love the way they hide their eyes behind their ears! Thirdly, after many fears about delaying my entry into full-time employment, I have decided to take the plunge and go on another long trip - this time to South East Asia! It's something I've always wanted to do, many years before I ever stepped foot in Europe. I've sought advice from everyone under the sun, and while opinions have at times been very divided, the general consensus - and what I've ultimately chosen to live by - is that now is the time to do it. Everything comes with a trade off. Maybe I will have to fight harder to land a good job when I come back. Maybe it won't come as easy for me as it would for someone who works straight after graduating from university. But it won't be impossible. The thing with going on adventures is that afterwards life inevitably settles down. More importantly, I know I'll regret it if I don't travel now, before things like kids and bills and climbing up the career ladder become a terrible reality. Happiness happens in the present, not in the future. Sawn Rocks, a beautiful feature of the Mount Kaputar National Park in northeast NSW, one of the places I visited while I was working out bush. 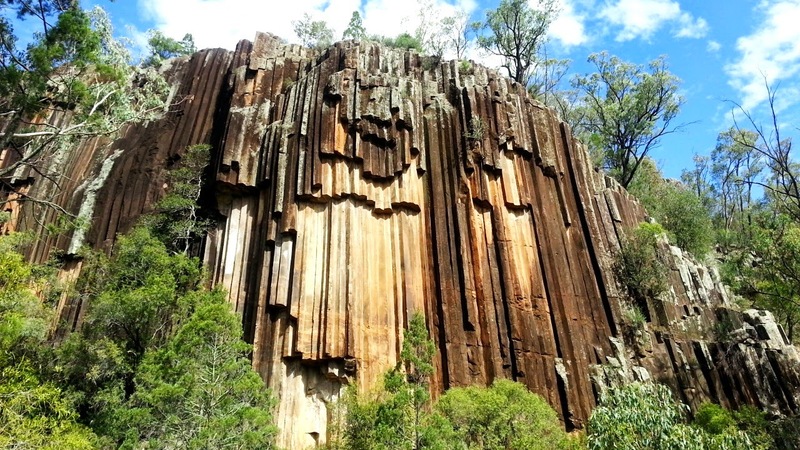 The organ pipe-like rock columns were formed naturally, just by the way the lava cooled. I told you geology is awesome. Anyway, wish me luck! I'm nervous but excited! I feel like the decision to travel and explore the world is a really relevant one for many people in their twentysomethings; it comes up constantly in conversation. It's a stage of life when everything seems ripe for the taking, and there's just not enough time or money to satisfy all the things we want to do. It's when we all want to start making a name for ourselves in our jobs and have really satisfying, fulfilling work. But we're also young, and fit, and our feet are itchy. And even though we know we're not old, we're also starting to look ahead to when we will be. What will we be doing with our lives when we're in our 30s, 40s, 50s? How do we reconcile all these desires with our responsibilities? Do you know anyone who's had to make a big (and seemingly life-changing) decision like this before? Maybe you've had to make one yourself. Please share in the comments how you tackled it! I'd really love to hear from all of you. To end this on a lighter note, I dined at world famous Japanese Restaurant Tetsuya's back in December with acquaintance and travel journalist Paul Oswell from Shandy Pockets. I was very lucky to get the impromptu invitation, and didn't quite realise the enormity of the experience until I was already there! I mean, of course I'd heard of Tetsuya's, and I knew it was rather fancy, but I didn't know just how fancy. He and I were both rather unprepared and therefore pretty blown away by it all! I was super chuffed to visit the shiny kitchens, which was impressively organised and controlled - not at all like the steamy, hot, noisy, chaotic back stage scenes of five star restaurants you see in movies. We even got to visit the cool and quiet dessert kitchen, where a lone pair of calm and collected pastry chefs prepared the many small pretty sweet things in peaceful solitude. 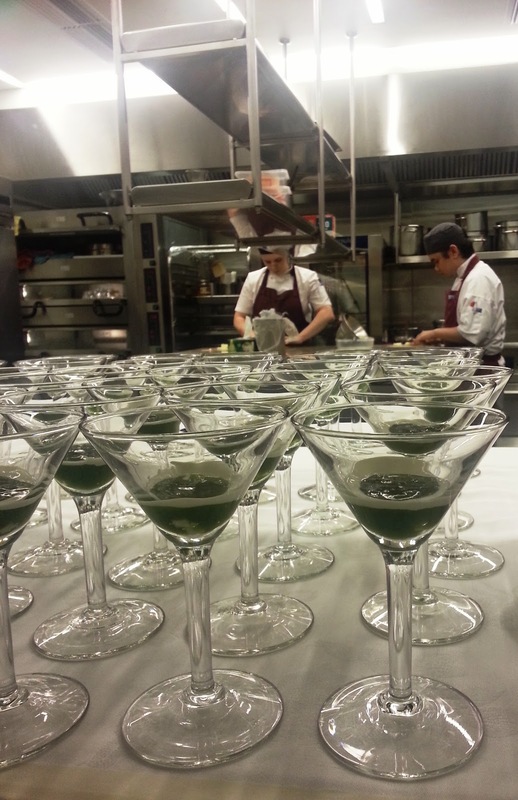 Tetsuya's behind the scenes - making marvellous delicious things. Paul has finally released the review of our amazing degustation meal and fine dining experience, and you can check it out here. That's it for now. Catch you again soon! One thing that I find helps me to blog regularly is to set a day, and I have to blog then regardless of whether I think there is something adequately "exciting" to blog about. Getting into a routine makes all the difference to me! I agree with Mich! :D And the restaurant looks sooo yummy!